In most religions, prayers are always involved. Why do we pray? We make or invoke prayers because we want to communicate with spiritual beings, requesting guidance, assistance; confessing sins or as making an act of reparation or expressing one's thoughts and emotions. In the Buddhist culture, prayers and pujas can involve reciting sutras, chanting mantras, visualizing Buddhas and Bodhisattvas, and offering them water, flowers, incense, lights, food and music. All these ways are themselves merit-generating acts. Why is generating merits important? It is because merit is necessary for one to have good health, long life, happiness, worldly success e.g. : career, spiritual realization and good birth in next life. Prayers and pujas performed by highly practiced Sangha members are particularly effective as blessing power from their prayers are very much enhanced through their pure and compassionate bodies, speech and mind. 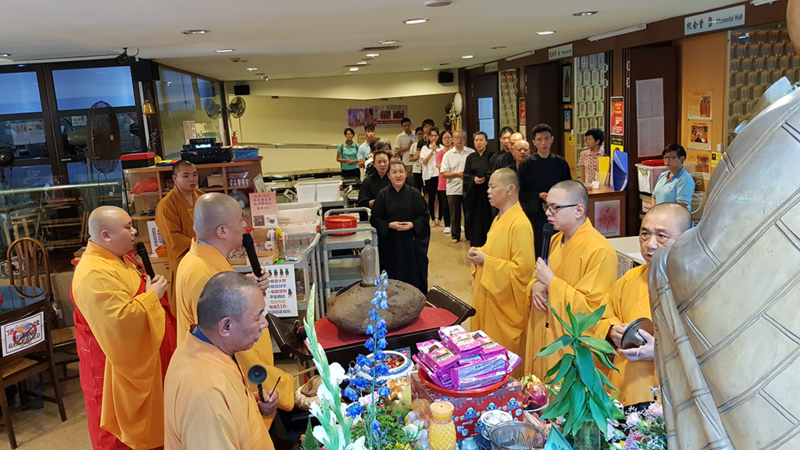 Here in Pu Ji Si Buddhist Research Centre, there are opportunities where you can request our honourable Sangha members to make prayers on your behalf to generate merits. There are several annual packages available from which you can choose for yourself, your company and family.